According to the Institute of Medicine, the number of adults aged 65 and older will double in the next twenty years. The aging population will need acute, primary, and long-term care, which is expected to experience a five-fold increase. The senior population is more likely to experience multiple chronic diseases and have functional disabilities that will challenge the health care system. To care for their needs, there must be a trained and educated workforce in all health care settings. Certified nursing assistants will play a critical role providing hands-on care to this racially and culturally diverse population. The development of such a competent and qualified workforce is the goal of nursing assistant programs throughout Springfield Illinois. It is estimated that the job outlook for nursing assistants will increase by 21 percent between the years 2012 to 20212. The recruitment of competent nursing assistants is essential to meet the needs to the expanding geriatric population. The nursing assistant program at Capital Area Career Center is approved by the Illinois Department of Public Health. The school admits students on a first come, first served basis – check the website for the registration deadline for each period. Applicants must score 60 or more on the admission exam that is administered at the time of registration. Accepted students must get a background check and 2-step TB skin test before the class begins. The background check is free (included in the tuition), but the student must pay $30 for the TB skin test. The course fee is $925, payable in full using a money order, check, credit card, or cash at the time of registration. The fee includes tuition, CPR certification, background check, and textbook. Students must budget for royal blue scrubs, clinical shoes (black or white leather or vinyl), and a gait belt. Full attendance is required for all classroom and clinical sessions. Graduates are qualified to take the Illinois State CNA Certification exam – which costs an additional $65. The Certified Nursing Assistant program at Lincoln Land Community College is a 6.5 credit hour program that prepares students for employment in a nursing home, hospital, or home healthcare setting. The course is 136 hours divided into 88 hours of classroom theory and 48 hours of practice in a supervised clinical setting. Morning and evening schedules are available for students’ convenience. First-time students must complete an LLCC Orientation Session and obtain a passing score on the ACT, SAT, or LLCC Reading Assessment. A mandatory fingerprint-based criminal background check is required by law for all nurse aide students. Students with a disqualifying conviction will be not allowed to participate in the clinical practicum. Other mandatory requirements include a physical exam completed on the LLCC CNA Physical Form, a 2-step TB test, and royal blue scrubs and white or black leather or mesh tennis shoes. The program has strict attendance policies – all missed days (no more than two) must be made up. Attendance the first day of class is mandatory. Tuition for the program is $819. Other expenses include textbook, watch, physical exam, TB test, competency exam, criminal background check, scrubs, and gait belt. Students who complete the course with a grade C or above will receive a certificate that will make them eligible to take the state certification exam. The Basic Nursing Assistant (BNA) course at Midwest Tech prepares students for the certification exam that is required for certification in the State of Illinois. The curriculum covers 144 clock hours over a period of 7 to 8 weeks. Instruction takes place in the classroom, laboratory, and clinical setting to develop safe, competent, and compassionate nurse aides who will work under the direction of a licensed nurse or physician. Students meet Monday through Thursday from 8:00 am to 12:00 pm for the first five weeks, Friday of week 6 from 7:00 am to 3:30 pm, and Monday through Friday from 7:00 am to 3:30 pm for week 7. Graduates are eligible to work in nursing homes, hospitals, and home health agencies after receiving state certification. 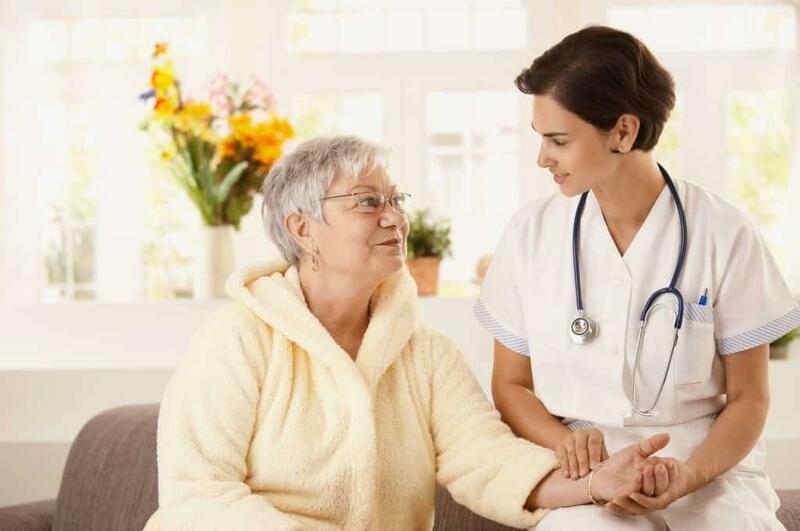 Course topics include basic nursing skills, introduction to health care systems, infection control, communications, patient assessment, assisting with the activities of daily living and care needs, observation and reporting, and care for the mentally impaired. The total cost of attendance is $1,250 including tuition ($982), registration ($100), books ($80), background check, and certification.